NHS England is to publish a technology roadmap for commissioners investing in IT and informatics, according to its Putting Patients First business plan. In consultation with stakeholders, it intends to publish an evidence-based NHS Technology Strategy and Roadmap, said the body. “Through the Informatics Services Commissioning Group we will bring together key organisations from across health and social care to ensure that benefits to patients and citizens are central to all commissioning decisions about national information and technology services,” it said. In line with government commitments to make all patient records available online by 2015, NHS England said 50% of practices will offer the facility to order repeat prescriptions and to book appointments by April 2014 with 100% achieving this by March 2015. “100% of practices will have the technical capability to allow people to access their records by April 2014 and 100% will be offering this option to patients by March 2015,” it said. The plan also stated the body will continue to roll out telehealth and telecare for 3 million patients by March 2017. 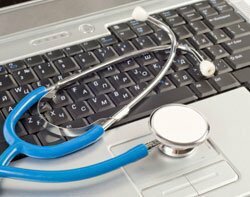 This is despite a recent study from the British Medical Journal that Telehealth is not a cost-effective treatment. NHS England also said it will develop and oversee a framework for major service reconfiguration that will set out the roles, responsibilities and interfaces between the different organisations across the health and care system that will operate from April 2013.
benefit to patient care and confidence in the NHS as we go forward.